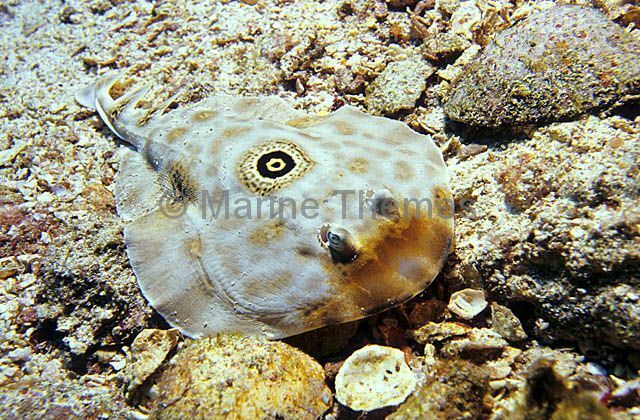 Ocellated Numbfish (Diplobatis ommata) or Bullseye Electric Ray. 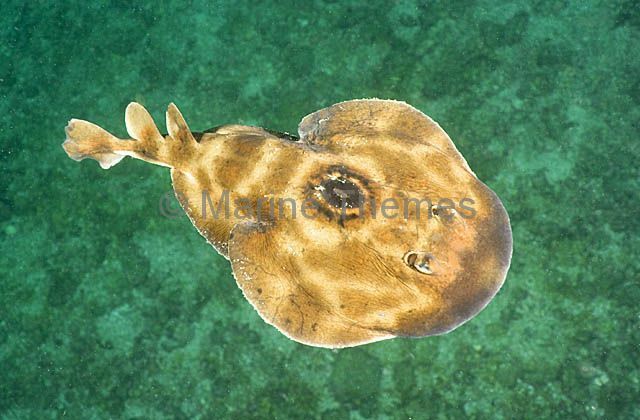 Ocellated Numbfish (Diplobatis ommata) or Bullseye Electric Ray swimming above sea bed. 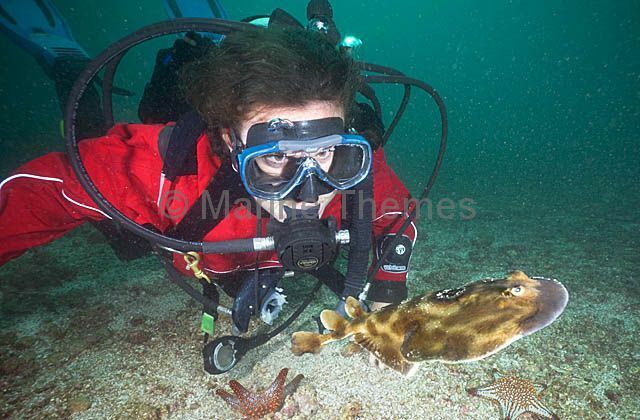 Ocellated Numbfish (Diplobatis ommata) with diver. 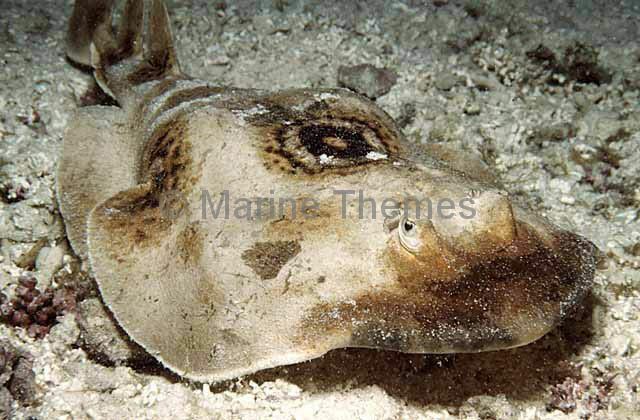 Ocellated Numbfish (Diplobatis ommata) or Bullseye Electric Ray resting on sandy sea bed. 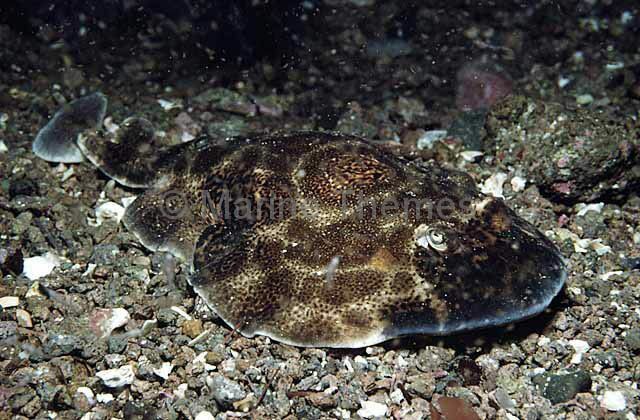 Ocellated Numbfish (Diplobatis ommata) One of the ray species capable of delivering a severe electric shock. 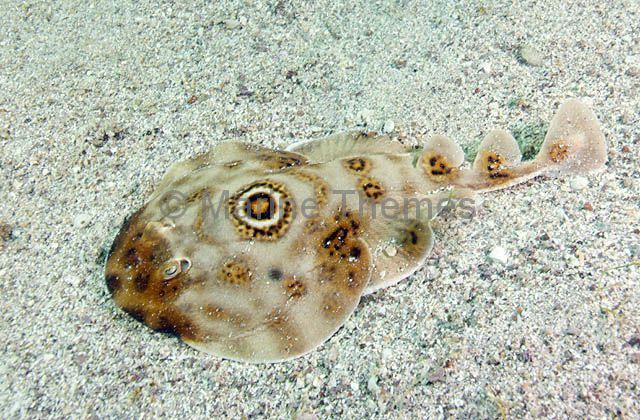 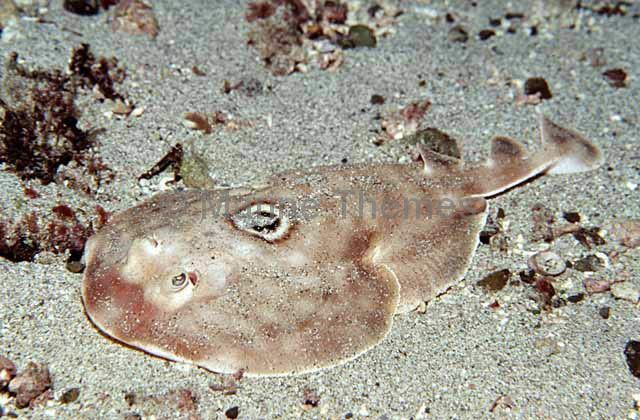 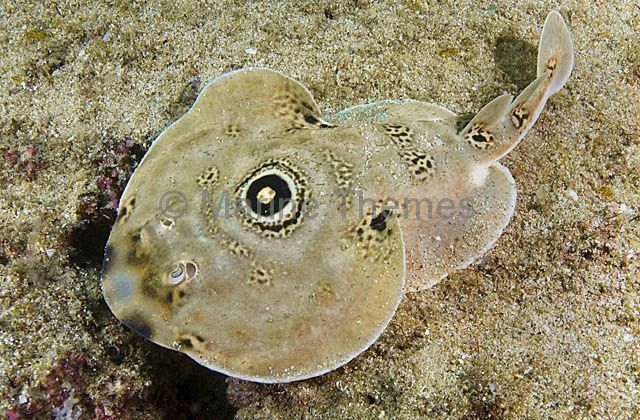 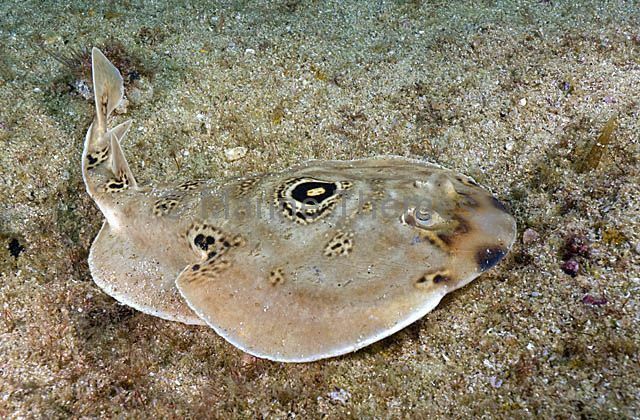 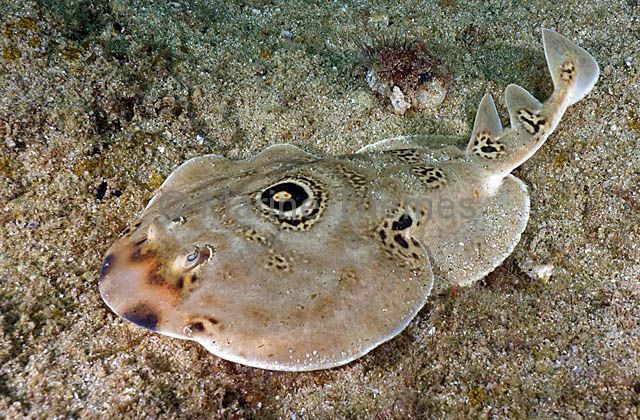 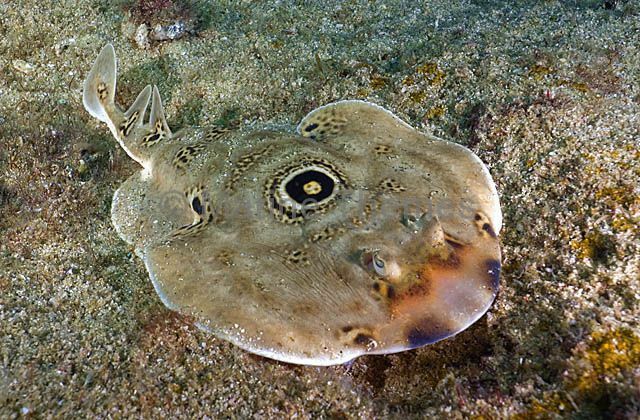 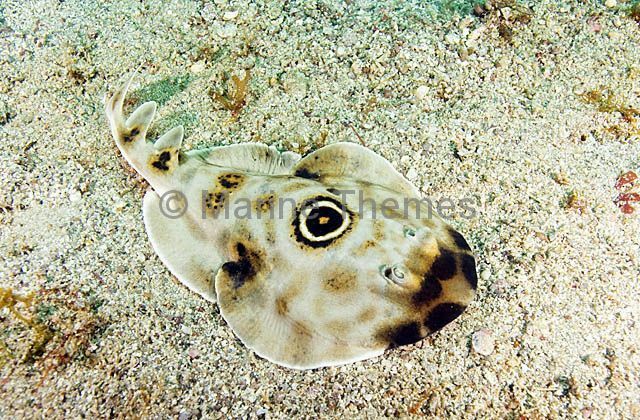 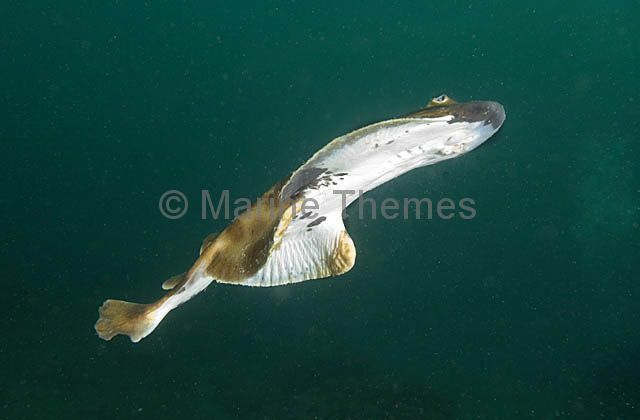 Ocellated Numbfish (Diplobatis ommata) or Bullseye Electric Ray foraging over sandy sea bed.